Bhim UPI App Cashback Offer :- Bhim is an UPI app Launched by the Indian Government to promote their Digital Payments Initiative to make Cashless Transactions to avoid the steady process of sending money to people. Bhim App is made on the platform using UPI feature which means you can easily and safely can send money from one person to another person to their account using this Unified Payments Interface (UPI). Like Bhim UPI App there is some another apps those are already doing well into the market to allure their customers to do transactions using their App. Now "Bhim UPI App Offer" has come up with their new cashback offer of sending money to any person that transaction should be their first ever transaction to Get 51 Rs Cashback. To attract more users Bhim UPI App has introduced this offer. 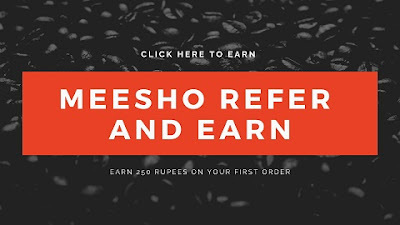 Earlier this offer has been provided by Phonepe Cashback offer or Google Tez App Cashback offer. But these apps are also running Refer and Earn Offer. But in the Bhim UPI App there isn't any such Refer and Earn Offer has been introduced yet. As we have told you that this Bhim UPI App is giving 51 Rs cashback on the First Ever Transaction the BHIM APP. Moreover of this they have also entitled the another 750 Rs Cashback Monthly offer if the monthly transactions would be Unique. That means you have to send money to the Unique users to avail their monthly cashback offer. All the details are mentioned on their official Page.Links are given below with their details. Open the App and Registered with your Sim which is attached to your Bank. Now your Device has been Registered with Bhim App. In next Step Choose your Bank Account, Set UPI if you haven't setup earlier. If you have already Set Up UPI number then you can use that same UPI number. Send Rs.1 and Get Rs.51 Cashback on Bhim UPI App. First of all go to the Send Money Option. Enter the Valid UPI address of any app like Paytm, Phonepe, Tez etc. Now Send 1 Rs to that UPI address. Make sure that this UPI transaction should be yours first ever transaction. You'll get your Rs. 51 Cashback within 5 days. First Click On Send Money. Send Rs.100 To Them Via UPI. You Will Get Rs.25 Cashback For Every Transaction You Made With Unique User. You Can Earn Upto Rs.500 Via This Method. First Click On Send Money In App. Now Enter Any UPI ID. Make Transaction Of Minimum ₹ 10. You Will Get Cashback Accroding To Number Of Transaction You Made In One Month. Minimum Transaction Amount To Rs 10 Or More. Cashback Will Be Credited On Transaction Made Within 1 Month.